Marine applications have included Lifeboats and other Fast Surface Craft, Luxury Yachts, High Performance Racing Yachts, Naval Vessels and Submarines. Our sensor interrogation units are very well suited to this type of application where high performance and reliability are absolute requirements in very demanding environmental conditions. Their very low power consumption is also advantageous on race boats where there may be a high reliance on battery power. We have developed a range of sensors and installation methods suitable for virtually all key structures including hull, mast, keel, movable foils and standing rigging. These range from surface bonding of composite patches, to direct embedment of sensors in the laminate during lay-up. For the majority of structures, sensor installation can be carried out quickly and simply with minimum impact on the build programme. Epsilon Optics have been working with Magma Structures to deliver integrated mast load monitoring systems on their ‘state of the art’ carbon fibre masts. Field proven industrial automation technology and industry standard communication interfaces are used throughout in order to achieve robustness, high reliability and ease of long term system support. The systems are integrated with the vessel’s own sensing and management systems to provide real-time load monitoring for the operator on the bridge. This not only ensures that the yacht is sailed within the operational capacity of the masts, but can also assist in optimising the sail trim by providing key performance data such as leeway and driving forces for each mast. In addition to real-time load monitoring, all the data is stored in conjunction with other essential vessel sailing sensor information. This enables analysis of the complete load history of the masts and provides on-going assurance of their structural health. Utilising the data to conduct a historical fatigue analysis can extend the lifetime of the masts and can, in theory be used in conjunction with the insurance companies to avoid or extend the periods between mast stepping and testing. 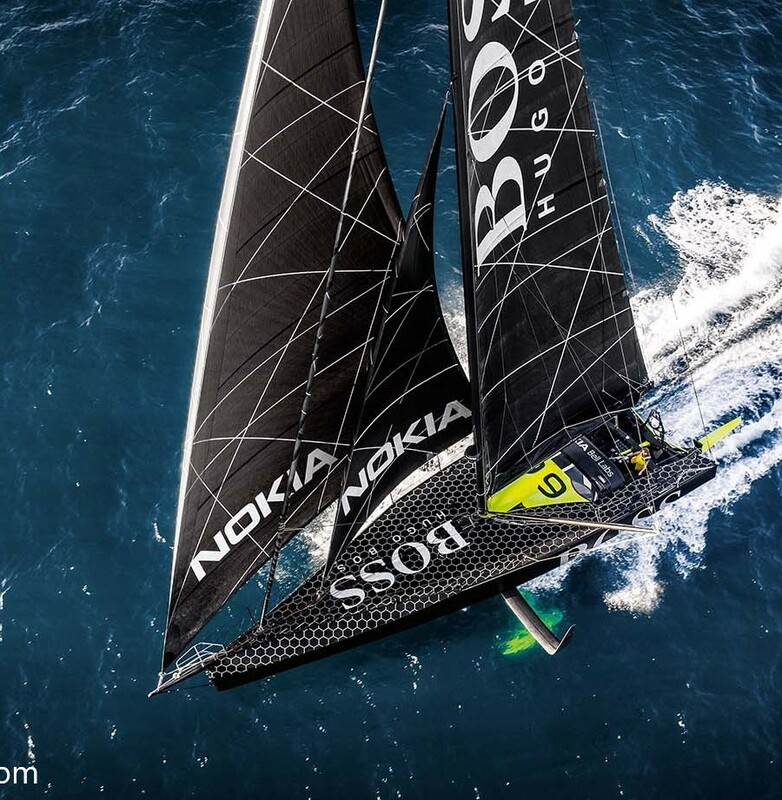 Epsilon Optics has been working closely with Alex Thomson Racing to provide real-time monitoring to help verify the structural performance of the foils (or if not foils, perhaps critical structures or components), generating crucial data to feed into the next designs. This has required provision of high speed data acquisition and the installation of a number of strategically placed FBG sensors. The sensors have to be compact, lightweight and sufficiently rugged to withstand the harsh environmental conditions experienced on racing yachts. The keel is probably the most critical structure on a modern race boat, as failure can mean instant capsize and an acute risk to crew safety. 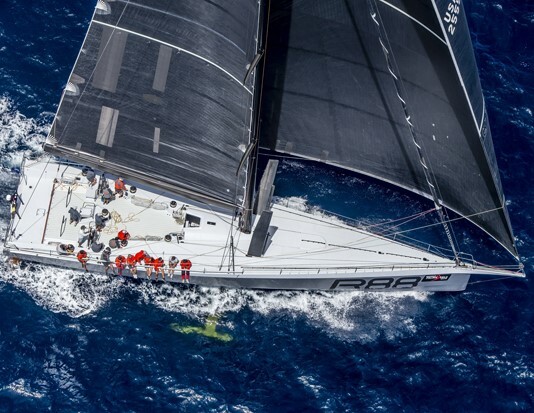 Epsilon Optics has supplied a fibre-optic strain sensing system to Rambler 88 to enable continuous strain monitoring of the canting keel. This generates a complete load history which, supplemented with regular NDT inspection, helps ensure the continued integrity of this critical and highly stressed component. 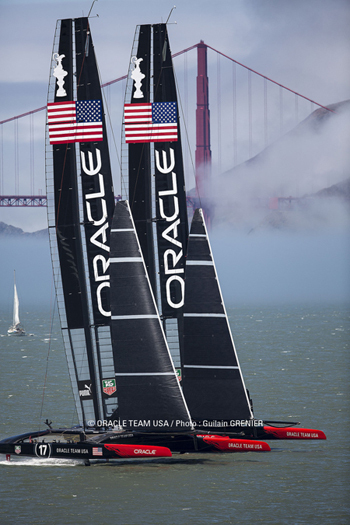 Epsilon Optics provided all the fibre-optic strain sensing for Oracle Racing during their last two successful America’s Cup campaigns. 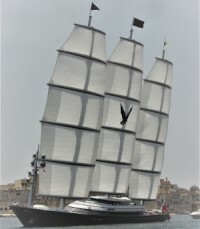 Virtually all critical structures were monitored including hulls, foils and rig, providing vital feedback for the designers and reassurance for the sailing team. This involved working very closely with the design and build teams in order to meet the tight deadlines and rapidly changing requirements.